A little known SC, ST, OBC organisation and a bunch of intellectuals called for a Bharat Bandh on 5 March. They demanded the restoration of the old 200-point roster system for implementing reservation in university faculty positions, a system that regards the whole institution as a unit. Prime Minister Narendra Modi government lost no time to avert this crisis, especially after having burnt its hand with Bhima Koregaon and the 2 April Dalit mobilisation. On the day of the scheduled Bandh this time, Union minister Prakash Javadekar said he will bring an ordinance to restore the old 200-point roster system. For many, it may appear a little bizarre that the BJP government – despite its newfound confidence after making national security the top political and election issue – is succumbing to the demands of a little known organisation’s call for a bandh. 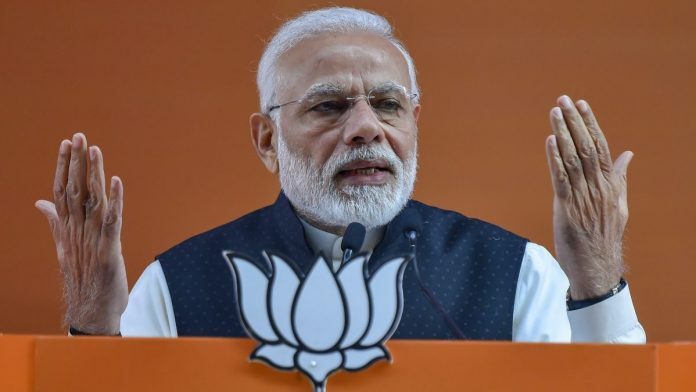 But at the heart of this quick panicky move is Modi’s shrewd election arithmetic and a belated understanding of the recent changes in the Dalit and OBC communities. Also read: SC okays dept-wise faculty quota: Harms university reservation or even spread of jobs? Officials in the government and the BJP leadership were spooked by the quick mobilisation of Dalits in Bhima Koregaon in 2018 and had conducted an intelligence gathering operation to find out who called the meeting and how so many people gathered there. And again last year, some SC, ST intellectuals and activists called for a Bharat Bandh against the dilution of the provisions in the SC/ST (Prevention of Atrocities) Act by the Supreme Court. On the day of the bandh on 2 April, the government announced that the new changes in the Act will be annulled and it will bring a bill in Parliament. Even in the case of Rohith Vemula in 2016, something similar had happened. After his suicide in the Hyderabad Central University campus generated an outcry, Modi himself intervened to say that Rohith was a son of Bharat Mata. The vice-chancellor of the university was asked to go on a leave and in the next cabinet reshuffle the HRD minister Smriti Irani was shifted to the textile ministry. Similarly, after the 2016 Una incident, where seven Dalit persons were beaten by gau rakshaks, an agitation followed and Modi intervened to say – “Mujhe maaro, lekin mere dalit bhaiyeon ko mat maro (Beat me, but don’t beat my Dalit brothers)”. There is a common thread that runs through all these instances. These agitations, some call it social movements, were related to the demands of the marginalised social groups. But all the agitations were initiated by the urban, educated, middle class members of these groups. Interestingly, the political parties claiming to represent such social groups remained almost aloof. In these mobilisations, it was social media that played the role of an effective organiser. This is something the BJP wants to avert and diffuse quickly. After all, many analysts had cited the issue of dilution of SC/ST Act as one of the reasons for electoral defeats of the BJP in Madhya Pradesh, Chhattisgarh and Rajasthan. So the moot question is why the BJP, which is widely viewed as an upper caste party, taking the same risk of alienating its core base again and again, and responding with such alacrity to the issues that rile the Dalit community? May be the answer to this puzzle lies at the intersection of caste and class. The underclass of the Indian social order, the shudra and the ati-shudra as social reformer Jyotiba Phule called them, have undergone huge changes in the last seven decades. An educated and articulate middle class has emerged among them due to the provisions of affirmative action and reservations in education and government jobs, and to some extent also due urbanisation. In all the agitations mentions above, this is the social class we see at the forefront. They use smartphones and are active on various social media platforms, strengthening group identities and guarding their hard-fought constitutionally guaranteed rights in modern India. This is the social class – the educated, middle class and urban Dalit – and the power it wields scares the Modi government and the ruling institutions. Also read: Digital Dalits: Is social media a game changer for Dalit politics? If we look at the internal structure and dynamics of this social group, we find a pyramidical structure. There is a small social elite that reaped the benefits of reservation policies and later on the political process, rightly named the ‘silent revolution’ by Christophe Jaffrelot. This elite is small in number, but they are powerful subaltern influencers and opinion shapers. Due to the advent of social media, the process of spreading messages to the larger audience has become faster and easier. The issues that they raise often trickle down and impact the voting behaviour of the masses at the bottom of the pyramid. This small social elite among the Dalits is what Modi and the BJP have smartly identified as one requiring urgent attention and quick reaction. Because their narrative has the potential to jeopardise Modi’s flagship schemes like Jan Dhan, Ujjwala and direct cash benefits to farmers. It is not in the interest of the BJP to antagonise the influencers in this group, although small in number.